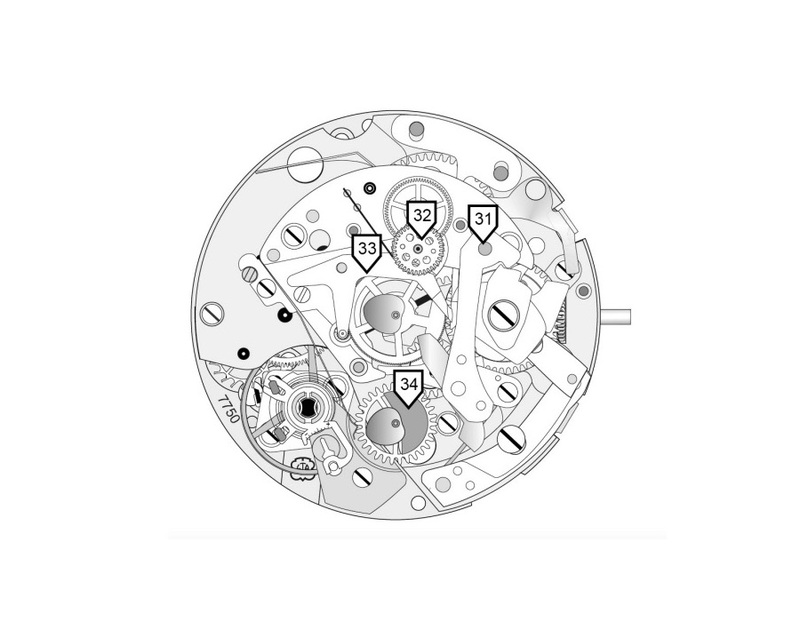 How to disassemble the ETA Valjoux 7750 chronograph movement in 83 steps. This is an official document of (and copyrighted by) the Swatch Group about how to disassemble a ETA Valjoux 7750 chronograph movement. Interesting for anyone who would like to have more insight in the construction of this important caliber, and who probably wants to give it a try to work on the movement him- or herself. Please note: Ignore the shipping notice, just choose country as ‘Netherlands’ and leave ‘Pickup (free)’ ticked. Then click ‘Proceed to Checkout’, enter your details, tick ‘accept terms’ and click ‘Place order’. On the following ‘Order Details’ form clicking the line ‘Download file: Valjoux 7750 disassembly’ will have your download available immediately.